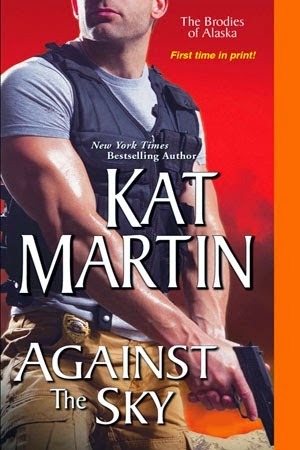 We're pleased to host New York Times bestselling author Kat Martin today for part two of her Against the Sky tour. Kat Martin is a graduate of the University of California at Santa Barbara where she majored in Anthropology and also studied History. Before she started writing in 1985, Kat was a real estate broker. During that time she met her husband, L.J. Martin, author of thirty western, non-fiction, historical, and suspense novels. A resident ofMissoula, Montana, Kat and her husband spend their winters in Ventura, California. 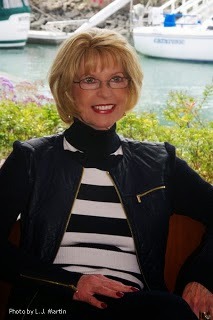 She is a currently writing her next Romantic Suspense. In my current release, AGAINST THE SKY, Nick Brodie, a former Anchorage PD homicide detective, has a serious case of burnout. He's tired of murder and mayhem. He wants a new life, something that doesn't include blood and death. Unfortunately for Nick, he isn't going to get it. When twelve-year-old Jimmy Evans comes to him beaten and battered, claiming his father was murdered, Nick has no choice but to help him. Are you reading the Against series? Do you have a favorite book in the series? Do you have favorite settings for the books you read? Do you enjoy "traveling the world" through the pages of the books you buy? One person who leaves a comment on today's post will receive a copy of Against the Sky. Winner's choice of print, Kindle or Nook. Kat is also running an Against the Sky contest through February 28th at her website. The winner will receive an elegant pair of Swarovski earrings and autographed copies of the first three Against books. Always a pleasure when visit. I've read your historicals and enjoyed and loved them all. I'm really looking forward to reading about the Brodies.I have lots of catching up to do. Thanks for the post. I do enjoy armchair travel. I must admit to liking most locations. It seems I have a lot of reading to catch up with. Favorite Against the Mark, Ty and Haley's story. Alaska -men and women pitting their survival skills against the wild, untamed, beautiful land and animals of Alaska I love the outdoors. I love seeing the world through the author's eyes. It's the only way I can afford to travel. I have not read your books yet. I read Against the Wild, and I really enjoyed it. Alaska makes an interesting setting. I took an Alaskan cruise, and I was so impressed with the natural beauty. I am catching up on the series. I recently read Against the Odds, and really enjoyed that it was set in "my" city--Houston. Alaska sounds like an interesting setting. Thanks for visiting, Kat. I love the Against series! My favorite so far is Against the Fire. Loved Gabriel Raines. However, I'm loving the new Alaskan setting with the Brodies. I love stories set in small towns with a wide variety of characters apart from the hero and heroine. Characters you know will eventually be getting stories of their own. Don't much care for foreign settings when there is so much to see and learn about in the USA! I love to read because I can experience the world without ever leaving home. I have this series on my wish list but haven't got them yet. I've read several of Kat's earlier series, but haven't started this Against series yet (just checked it out - I have some catching up to do). I've done most of my traveling lately thru books - really makes me want to see some places in person! I've read the majority of the Against series. I've missed a few here & there, as I get most of my reads through the library and they've been rather stingy lately on their paperback orders. One of the main reasons I read so much is to get lost in those worlds, whether it's a fantastic story/series or a fabulous location.